I have had the good fortune of seeing various maintenance organizations at different stages of effectiveness. This includes the many that are purely reactive, the few that are proactive, and the mass that are on the continuum that runs in between the extremes. From this experience, I’ve observed the tendency of maintenance departments to be like water in that they all tend to flow toward the lowest level of effectiveness – purely reactive. I’m not referring to a short-term focus or the need to react to crises or specific situations. Instead, I’m talking about the long-term movement of most maintenance departments over the years, particularly as they transition from manager to manager, to become less and less effective. This is not to denigrate any maintenance professional. 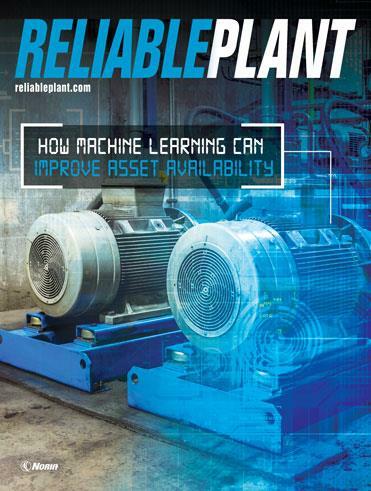 There are many effective maintenance departments that keep their sites running in a cost-effective manner and give their business a strategic advantage from the reliability and cost advantage they supply. However, I’ve also come across several maintenance organizations that are currently poor performers which in the past had been good or even great. In these programs, you often stumble upon the fossils of good practices and methods that have been abandoned. No one seems to understand why the department changed, but those who were in maintenance when the change took place know that it happened. Interestingly enough, process personnel who were around at the same time rarely seem to realize that a change has occurred. This slide to reactive maintenance is not unique to a site or industry but is the norm, like water always flowing to the lowest level. 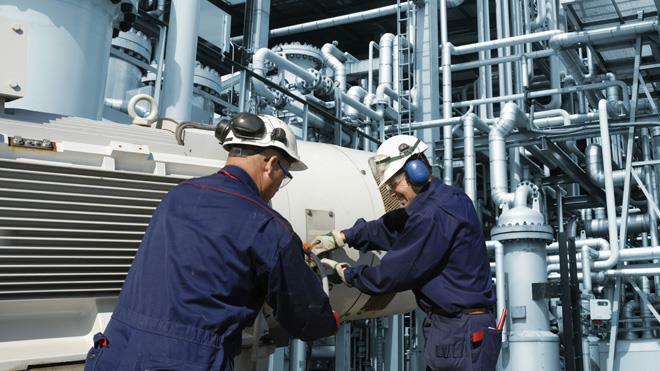 A number of contributing factors exacerbate this continuous downward pressure on maintenance performance along with several significant causes. I’m sure if you put a group of maintenance professionals together, they could spend hours talking about their personal experiences with each of these. Nevertheless, you must realize that these factors were also present when the maintenance departments were at their peak, so why the downward trend? I wish I could give scientific evidence to support this, but to this point I’ve only had the ability to gather anecdotal evidence, make personal observations, and gather data from incomplete and often flawed memories of those whose careers have spanned the rise and fall of specific departments. From this arguable database, it appears that the single most significant contributor to the ultimate success of a maintenance department is the department manager. Maintenance managers have a greater effect on their department than production managers or even plant managers have on their groups. Before the maintenance managers begin to pat themselves on the back, they should also realize that the ultimate failure of a maintenance department is most significantly due to the same cause. It’s not just a strong personality that is needed at the maintenance helm, because the leadership of most departments already meets this requirement. Exceptional leaders must be grounded in the maintenance philosophies and understand how they interact. They must know that the transition from reactive to proactive maintenance is a journey in which all levels must be traversed. They also need to realize that maintenance mindsets and strategies are different, and in some instances require the exact opposite reaction. They must know the value of different practices and methods so they can correctly follow a long-term strategy while making the necessary tradeoffs to manage the day-to-day operations. In addition, they must fight the tendency of their own people and maybe even themselves when they revel in the excitement of being the hero who got the broken line running again. This is where the crux of the problem occurs. Understanding maintenance is not nearly as common as many people think. It is not the same as having a mechanical aptitude or knowing how to fix things. There are people who understand maintenance philosophies well and know how to implement them, but they are a minority. Their knowledge, in most cases, has been cobbled together from a varied collection of sources, such as trade publications, seminars, discussions with other professionals, trade shows and information from consultants. Many individuals have gathered the required knowledge this way, and it is not an impossible task, but it is also not an obvious or well-traveled path. Instead, it is a haphazard way to acquire the necessary knowledge. There is even an element of luck as to whether a person will be exposed to all the correct concepts to be able to develop a workable understanding. This means that it not only takes intelligence and curiosity to become a talented maintenance manager who can create and maintain an excellent department, but it also takes a degree of luck to be exposed to the right information. From my experience, not nearly enough people have been able to travel this path and learn the maintenance management craft compared to the number of people who are actually needed in the field. In many ways, the maintenance department at most sites is equivalent to a third-party contractor. Maintenance is treated differently than the production group, and the goals of maintenance are often measured differently. In any site-management meeting, those with maintenance experience usually are outnumbered 10-to-1 or more by those with only production experience, which means that the deck is stacked against maintenance. What’s worrisome about this situation is that the production group usually will make the hiring decision for the maintenance leader even though production does not understand maintenance. In the worst cases, production believes that anyone with an engineering degree can run maintenance or that anyone who is well-spoken and knows how to fix a pump can do the job. Although a lot of maintenance professionals may think the same way, I don’t believe the skill set needed to be a good maintenance manager can be listed so succinctly. This is the primary reason a well-functioning maintenance department is difficult to maintain. When managers who have the intelligence and knowledge to grow an exceptional department move on, they most likely will be replaced by someone who does not have the same level of understanding. In most cases, it doesn’t matter if the replacement is coming from inside or outside the department. The replacement may be intelligent and capable, but he or she just won’t have the necessary knowledge. At this point, the slide toward reactive maintenance begins, and once it begins, it appears to pick up momentum as it moves along. One thing I’m sure of is that reactive maintenance feeds off of and perpetuates itself. 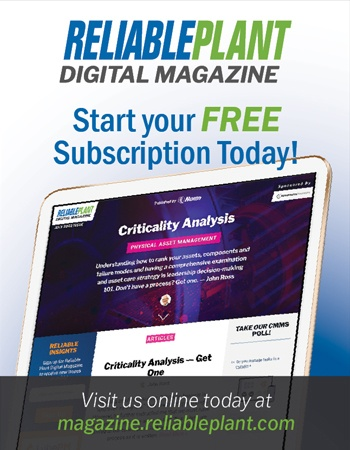 Maintenance managers who can make their department a strategic advantage to the company, instead of just the largest variable cost center, must be constantly working to learn their craft. Many misinterpret "learning the craft" as meaning they understand the equipment. While equipment knowledge is important, it is not as critical as understanding other things, such as what a good preventive maintenance program is and how to keep it evergreen, how to set up a computerized maintenance management system, how to develop the department so it is not dependent on the specific knowledge of individuals, how predictive technologies interact and when they are worth implementing, the differences between the maintenance philosophies, the importance of proper training, and how the goals of the department are not the same as the goals of the repairman. What follows is not an exhaustive list of the pressures that push a maintenance department to move toward becoming reactive, but rather the items that have been factors in the falls that I have witnessed. They are in no particular order. It’s true that production is king, but this shouldn’t be interpreted as this group always gets their way. Too often production puts short-term expediency in front of long-term success. The inability to stop production at a controlled time or manner leads to more costly, longer duration and often less effective repairs at a much higher ultimate cost to production output. If a maintenance department could change in one day from being completely reactive to doing everything correctly, it would still take years for the results to become completely evident. Many of the initiating events for failures have already occurred, and the results will pop up for a while. This makes people doubt the effectiveness of a positive course change and revert back to the old, familiar methods. A primary push toward purely reactive maintenance comes from the people who become maintenance technicians. They chose their field usually because they have worked with their hands and are good at fixing things. There’s the rub. They are good at fixing things, and that’s why they became maintenance workers. There is a belief that because they developed their skills by fixing things, this is what maintenance people do – they fix things. Unfortunately, while the ability to fix things is an essential competency in maintenance, it should never be the primary focus. There is a different reward system for maintenance than there is for the production or process group. A production manager who keeps production running smoothly is viewed as doing a good job. A maintenance manager who keeps the plant running smoothly and avoids major problems is seen as not having many difficult challenges to face. Why wouldn’t someone want to be the white knight in a world like this? Consider a political corollary. You get more positive notice for building a new bridge than maintaining an existing one, even though maintaining the old bridge would cost far less. This has become a much bigger problem over the last 25 years. People who understand equipment and have the ability to maintain it are not as available as they once were. The majority of maintenance people must be trained, and much of this is accomplished through on-the-job learning. Unfortunately, much of this learning is not of the highest quality or current, which leads to a shorter mean time between failures and hence a more reactive philosophy.